Shop the iPad, iPhone & camera cases reductions online today at Outdoor and Country. Handpicked selection of iPad, iPhone & camera cases at sale prices available to order now. Keeping your gadgets free from scratches, scuffs and marks just got a whole lot easier and a whole lot more stylish with this super selection of iPad, iPhone & camera cases. Look out for bright colours and vibrant designs along with timeless leathers and authentic quilted styling throughout this great selection, all from your favourite brands and all reduced to incredible and unmissable sale prices. Shop for your new cases and covers today, at Outdoor and Country. 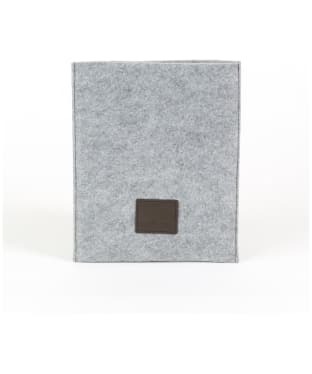 The Millican Ro the Felt iSleeve is ideal for protecting your iPad Mini products, crafted from a single piece of lightweight and durable felt. Ideal for you or as a gift, handmade in Cumbria using weatherproof, washable and non-shredding felt. This stylish and hardwearing case is the ideal for offering protection for your gadgets on the move.